APA approval of DSM-5 is a sad day for psychiatry. 1) Disruptive Mood Dysregulation Disorder: DSM 5 will turn temper tantrums into a mental disorder– a puzzling decision based on the work of only one research group. We have no idea whatever how this untested new diagnosis will play out in real life practice settings, but my fear is that it will exacerbate, not relieve, the already excessive and inappropriate use of medication in young children. 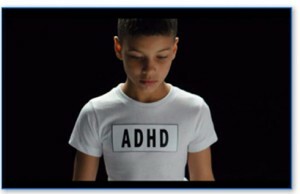 During the past two decades, child psychiatry has already provoked three fads- a tripling of Attention Deficit Disorder, a more than twenty-times increase in Autistic Disorder, and a forty-times increase in childhood Bipolar Disorder. The field should have felt chastened by this sorry track record and should engage itself now in the crucial task of educating practitioners and the public about the difficulty of accurately diagnosing children and the risks of over- medicating them. DSM 5 should not be adding a new disorder likely to result in a new fad and even more inappropriate medication use in vulnerable children.